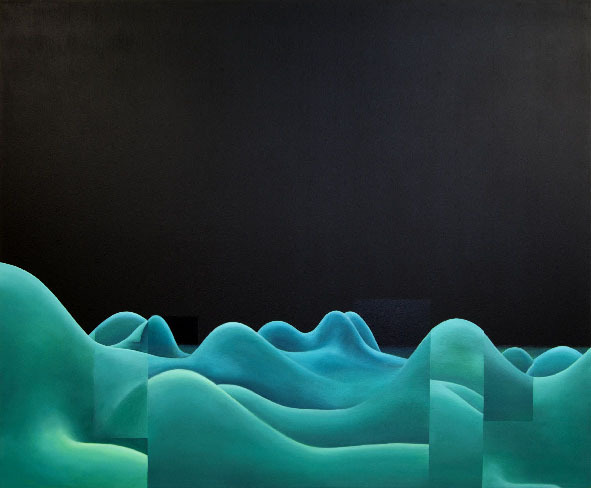 Copy / paste landscape n°1, oil on panel, 196 x 239 X 5 cm, 2009. 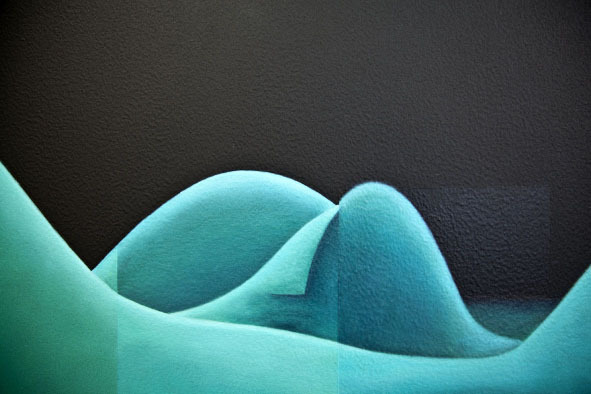 Copy / paste landscape n°2, oil on panel, 163 x 218 X 5 cm, 2010. 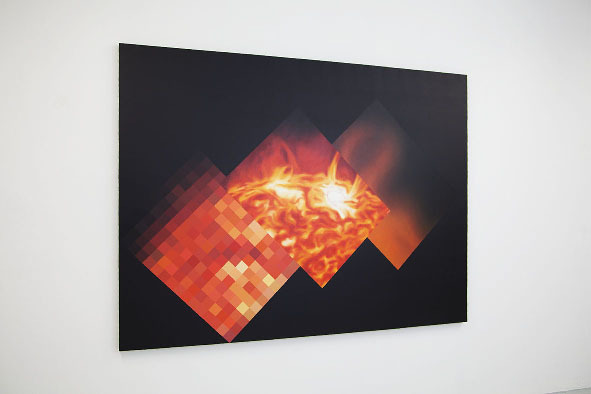 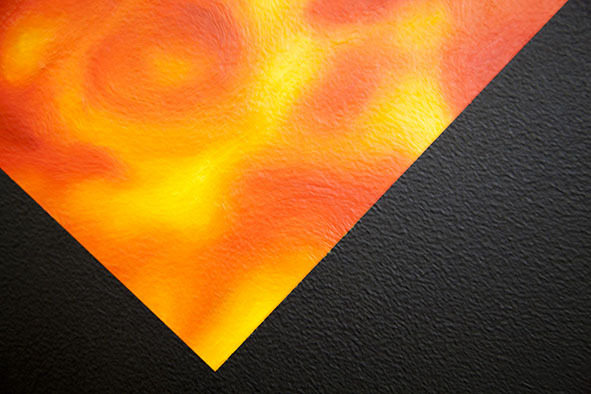 Beyond computer graphics and scientific imagery, these paintings use basic digital routines such as cut/copy/paste so as to open a new understanding of landscape genre.